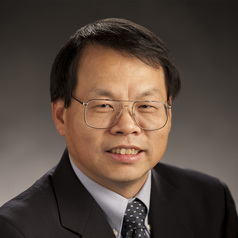 A human-environment scientist and sustainability scholar, Jianguo "Jack" Liu takes a holistic approach to addressing complex human-environmental challenges through systems integration, which means he integrates multiple disciplines such as ecology and social sciences. Liu has served on various international and national committees and panels. He is a member of the Board of Reviewing Editors for Science and is a coordinating lead author of the global assessment of biodiversity and ecosystem services organized by the Intergovernmental Platform on Biodiversity and Ecosystem Services.